For kids growing up in Australia, the local milk bar was more than just a shop - it was a symbol of freedom. For Callum Preston, the milk bar was a meeting place and a cherished after-school ritual in a time before SMS and Instagram - a place where you’d just turn up and see who else arrived. 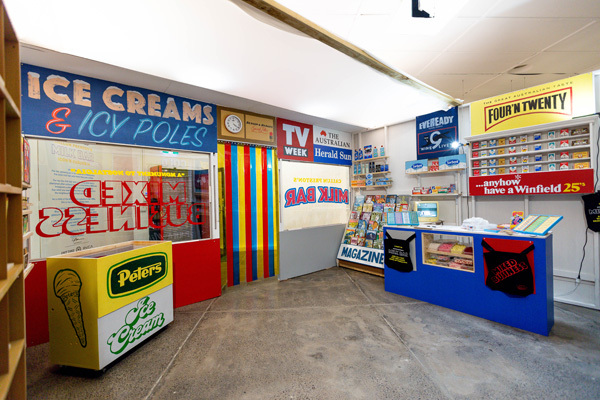 As a child in the 1990s, Preston well remembers his neighbourhood milk bar as a place of wonder: the buzzing neon, the faded posters of Diet Coke-loving windsurfers, collector cards, musk sticks, jelly snakes, cigarette ads, the smell of pies and the enticing crack of soft drink cans being opened. 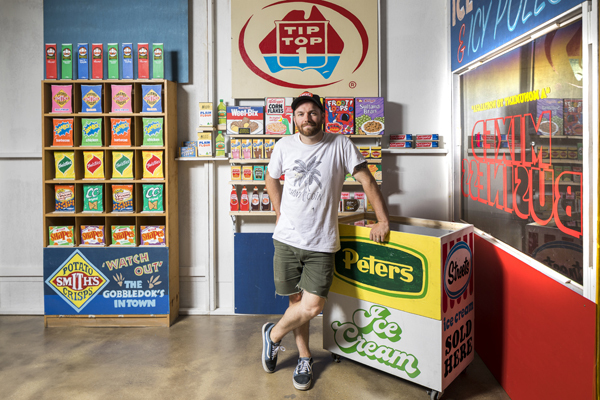 With these golden years now a distant memory, the Melbourne-based artist, sculptor, illustrator, and co-founder of trail-blazing creative hub, Everfresh Studios, has turned his efforts to recreating his own childhood milk bar, completely by hand - one chip packet and Coke can at a time.